We love to do matching activities! 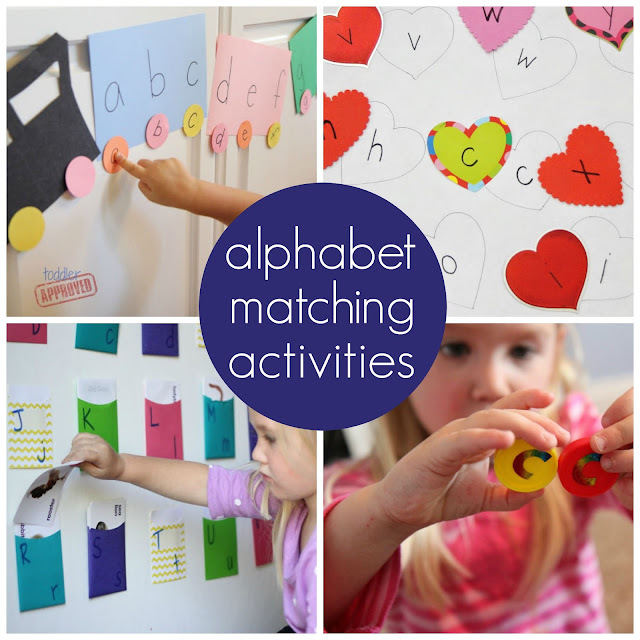 Today we're going to share several of our favorite matching activities with you! Matching is when you have a picture or letter or number and you have to hunt and find one that is exactly the same and put them near one another to make a pair (or a match). 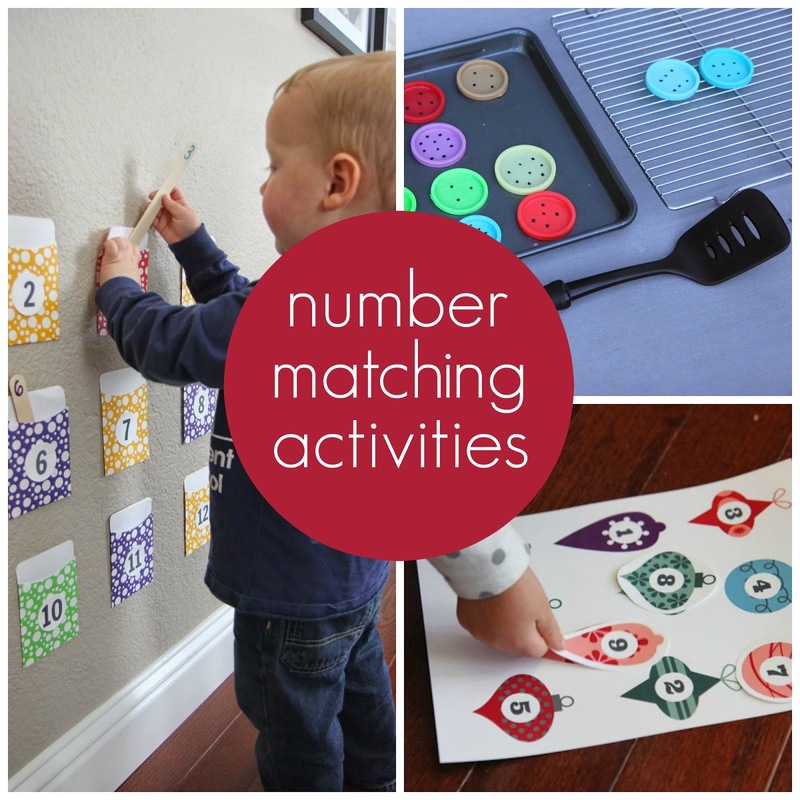 Matching activities are great for brain development. Matching helps kids work on visual discrimination and problem solve to find a solution. Visual discrimination is important as kids learn to read and write. 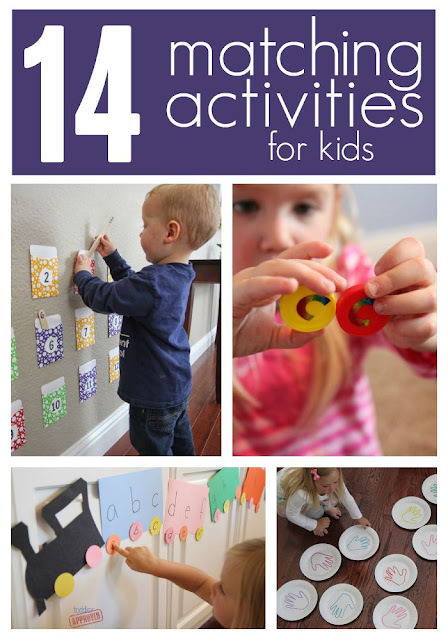 Matching activities also help kids use their memories! 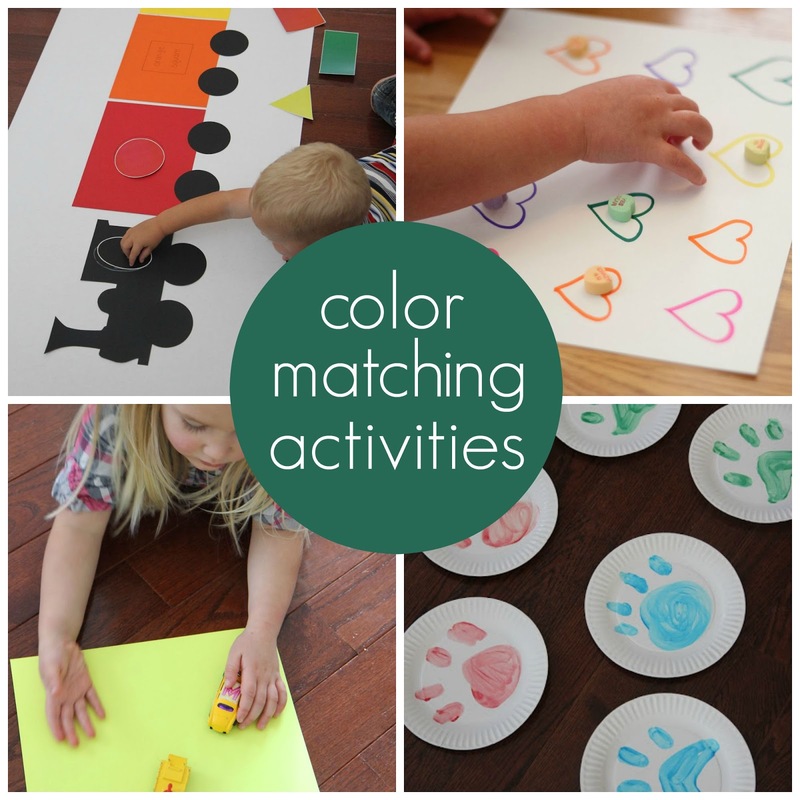 We like to do matching activities based on a favorite theme or holiday or interest. Here are a few of our favorite matching activities that also help kids practice the alphabet, colors, and numbers. Click on the titles below to go to the full activity tutorial. These are just a few of our favorite matching games!! Have you tried any of these yet? Have any other favorite matching games that we should add to our list?